Corex Honeycomb working with Satys: Corex Honeycomb works closely with Satys (formerly SMTC, Finaero, STTS, AIP, and CIEE ), supplying the Interiors for Rail division with aluminium honeycomb, which is used for train floors and doors. Satys is a french industrial group, present in 12 countries with 71 sites in Europe, the USA, the Middle East and Asia. The company specialises in aircraft sealing and painting, engineering and manufacturing of airline & interiors, cabling and wire assemblies for the energy, medical, aerospace and railway sectors and surface treatment for the aerospace industry. 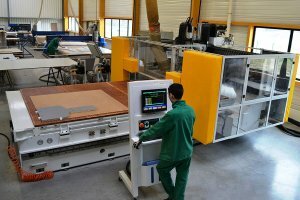 Established in 1986 as STTS in Toulouse, France, the company expanded its operations extensively all over the world, in The Netherlands, Spain, UK, China Czech Republic, Morocco, the US and Dubai. In 1999, Finaero was founded as a holding company, with STTS a subsidiary. Finaero pursued its development in cabin interiors and acquired SMTC, a leading original equipment manufacturer of train interiors in May 2017. The objective was to maximise synergies between the two companies, both in terms of developments in the rail industry worldwide and expertise in the aviation industry. Our main objective remains the same, to deliver quality programs on-time. The company, now known as Satys continues to grow by acquisition of existing companies, recently purchasing Kelox, Spain; Prodem, France and Air Livery, UK. The group holds several certifications including EN9100, (Quality Management System for Aerospace industry) ISO 9001:2015, (Quality Management System for an organisation) ISO 14001(Environmental Management) and ISO 13485. (Quality Management System for medical devices). The Satys Interior division manufactures and maintains high quality aircraft and train interiors. 400 highly skilled staff work in the aviation and rail sector across 9 sites globally, working from the drawing stage to production and installation, supported by maintenance expertise. Corex Honeycomb has been supplying this division with aluminium honeycomb for over 10 years; it is highly suitable due to its high strength-to-weight ratio and corrosion resistance. 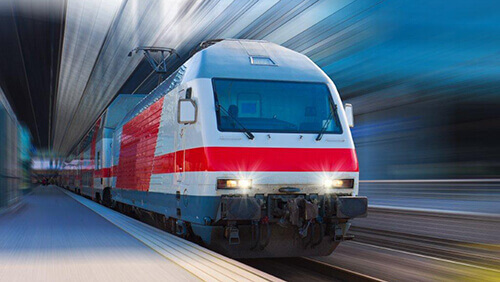 We have been a trusted supplier to the rail industry for over 20 years. When used as the core of a bonded composite panel our aluminium honeycomb is ideal for doors, floors and interior partitions. We look forward to continuing working with this highly successful company for many years to come.